Avoid the life threatening danger of a runaway boat! According to USCG statistics 161 deaths occurred in 2016 from falls overboard alone. 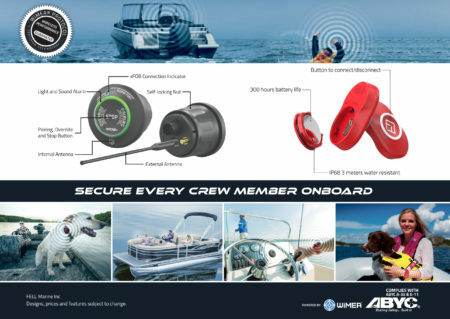 Provide your customers with the next generation of wireless engine cut-off technology. Now with multiple FOB connectivity. 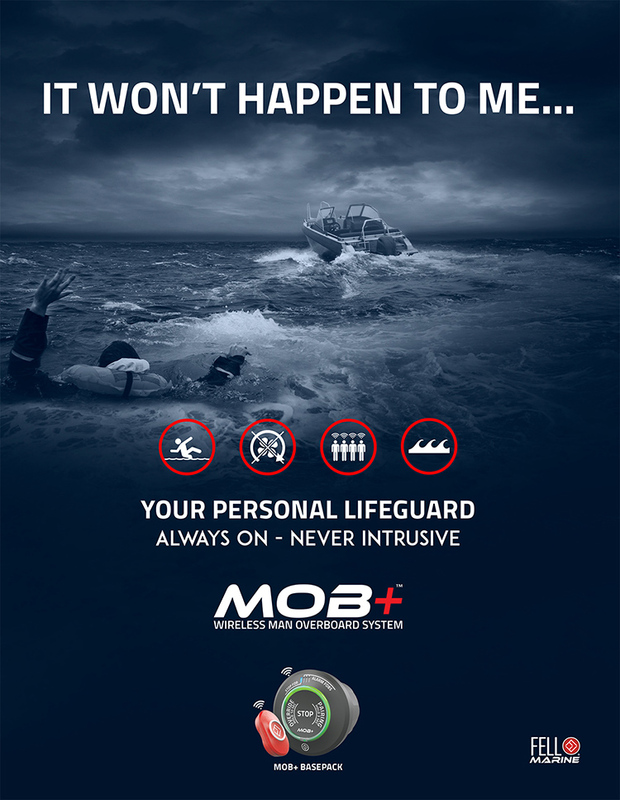 The MOB+™ Wireless Man OverBoard system is an innovative, ABYC compliant, life-saving safety device for your boat. It provides greater freedom of movement than a traditional kill switch lanyard, and stops the engine should you fall overboard. The system consists of an easy to install xHUB™ (mounted on or near the boat console) and a wearable xFOB™. The two communicate wirelessly with each other and stop the engine when the xFOB is submerged in water or is beyond range of the xHUB.